Well food-loving friends, the countdown is ON! Just a few days until Istanbul and Spain and then when we get back one of my favorite holidays is next! Thanksgivukkah! Well..it’s really 2 holidays in 1, Thanksgiving + Hanukkah. Which means turkey and latkes and gravy and more latkes…Do you love it? This is the only time in the next 80,000 years that Thanksgiving and Hanukkah will occur on the same day!! Well, the first day of Hanukkah at least. Usually people associate Hanukkah with Christmas time because Hanukkah often starts in December. To understand it a bit more…here’s a good laugh! 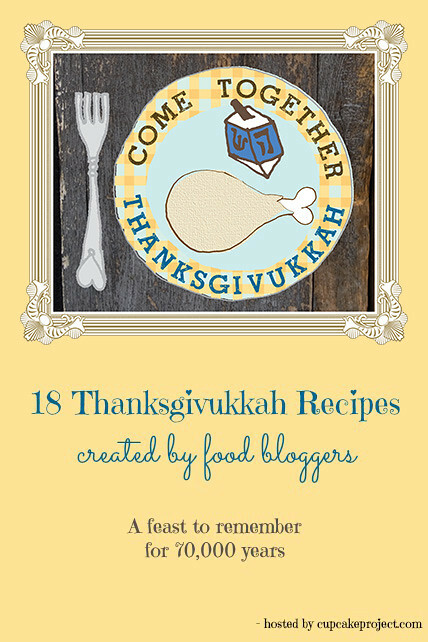 So to celebrate this momentous occasion, Stefani from The Cupcake Project got a few of her bloggy friends to all bring a Thanksgivukkah dish for this Thanksgivukkah Potluck. 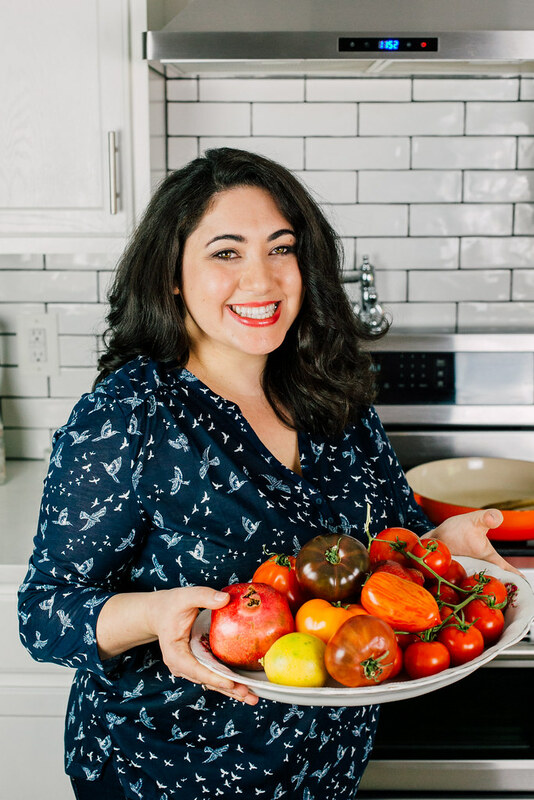 Check out Stefani’s post about how the potluck came to be here and for now let’s all celebrate foodie style with all the latke-stuffing and turkey basting fun and celebrate both Thanksgiving and Hanukkah! My donation for the festival potluck is a delicious Challah Stuffing. This is the perfect dish to use up any leftover challah and really any leftover ingredients you have as well. This stuffing is plumped with sweet turkey sausage, sweet cherries and savory leeks. The combo is amazing and you get a bite of every flavor profile in one! So what will you be making for Thanksgivukkah? In a large skillet, drizzle olive oil and break up turkey sausage into small bite size pieces. Allow meat to cook until fully cooked through and then reserve to another plate. In the same pan, add the leeks, celery and mushrooms and allow everything to cook until leeks begin to wilt and mushrooms begin to soften. *Tip: To clean leeks, chop leeks and then submerge in a bowl of water. All the dirt will fall to the bottom and leeks will float to the top. When vegetables begin to soften, add the chopped herbs and season with salt and pepper. Add chicken stock and dried cherries and coat all the vegetables. Cook for additional 2 minutes so the cherries begin to plump up. In a large baking dish add challah and vegetable mixture together. Toss everything together and add more stock if you feel it is too dry. Dot with butter all over the top and bake at 350 degrees F for about 40 minutes. Garnish with kore fresh herbs. And check out what everyone else brought to the Thanksgivukkah Potluck! 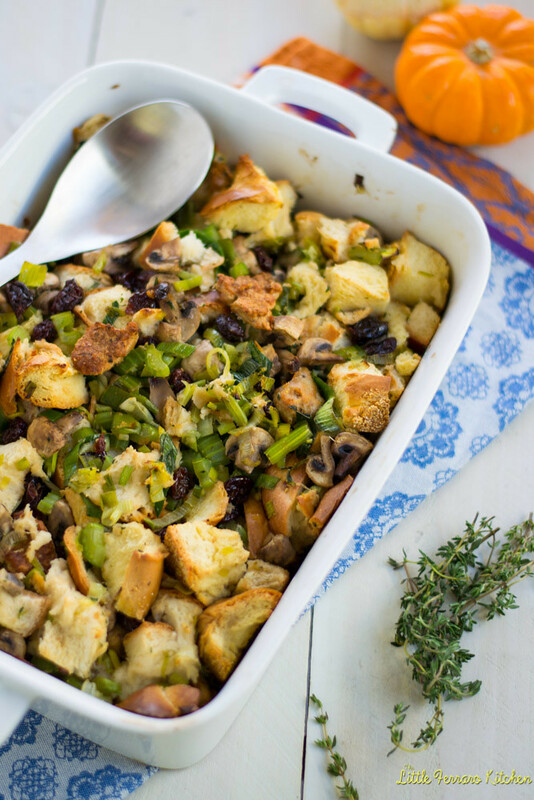 This stuffing has all my favorite things! Leeks and challah and cherries and awesomeness. Yum! I want that stuffing!! Looks fantastic! Have a wonderful vacation! And, thanks for sharing the Colbert report, I hadn’t seen it. Hilarious! 🙂 Glad you could join our potluck! What Amy said! I love it. YUM. I have some leftover challah in the freezer and this just might be what I have to do with it! Loving all of these flavors!!! 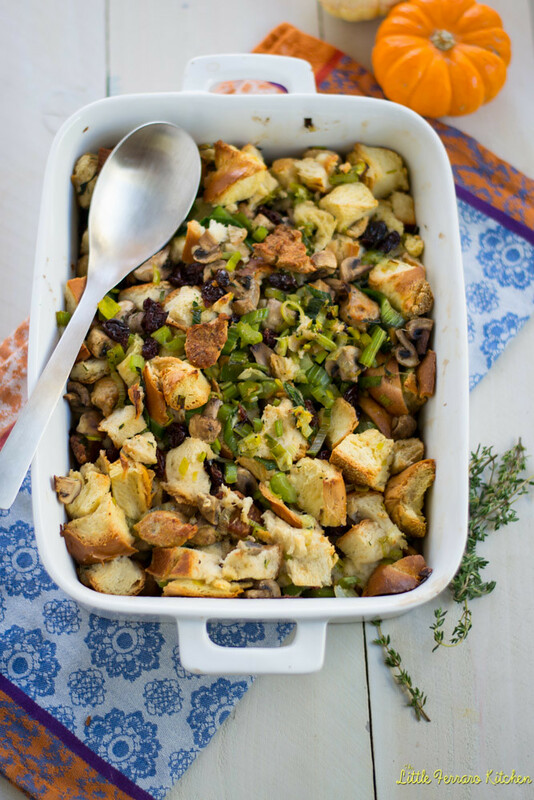 Bread stuffing is my weakness and I’ve never had one made with Challah- this sounds amazing! Thank you for sharing the Colbert Report clip–that’s hilarious! I can truthfully say that stuffing is my favorite part of Thanksgiving, and I think your flavor choices here are simply terrific. This looks wonderful! How many servings is this Challah Stuffing recipe? Can it be made ahead and reheated before serving? Hi Fran! Yes you can make this ahead, cover and reheat when ready. Maybe add a touch more stock if need. Makes about 6-8 depending on the size of your challah and how much sausage you use..its very versatile. What a great idea! Now I know what to do with any stale challah I get between now and Thanksgiving/Thanksgivukkah – no chance of using a whole loaf of fresh. My family would have gobbled at least half of it up before I got to make this delicious-looking stuffing.